Please complete this registration to participate in the ride. Thank you! Thank you for participating in Dapper Dakota's Ride for a Reason. Proceeds from this ride will be donated to Lend A Hand Up and matched by the Dakota Medical Foundation. 100% of gifts to Lend A Hand Up are distributed to local families battling significant health issues. What is your ride for the DDR? Please share the make, model and year of your motorcycle that you are planning on riding at the DDR. 1. 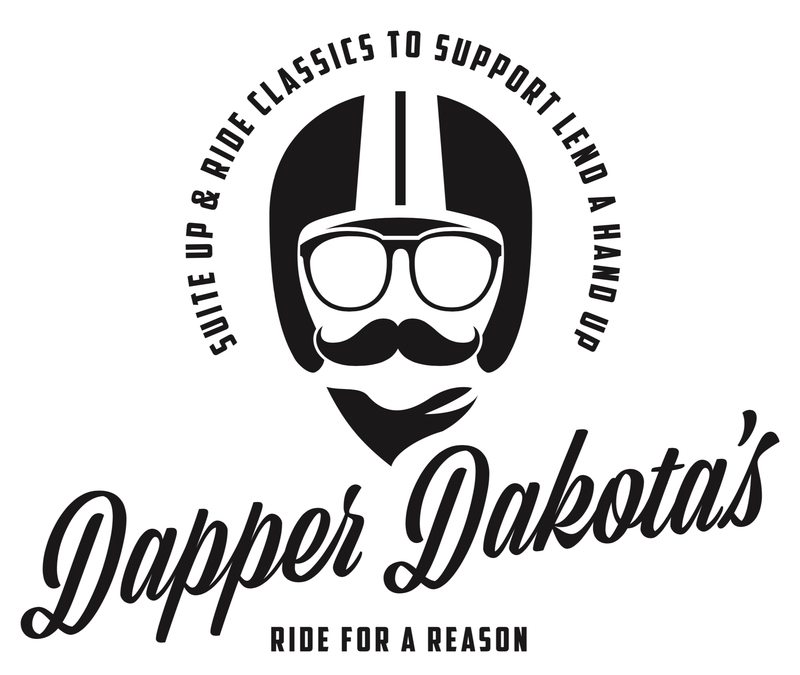 I acknowledge that the Dapper Dakota’s Ride for a Reason is organized by volunteers for the sole purpose of enhancing classic bike culture in the Red River Valley and raising funds for specified area charities. 2. I acknowledge that motorcycle activity is a potentially hazardous activity which can be a test of a person’s physical and mental limits and carries with it the potential for death, severe injury and property loss. The risks include, but are not limited to, those caused by terrain, facilities, temperature, weather, condition of rider’s equipment, vehicular traffic, actions of other people including, but not limited to participants, volunteers, spectators, and DDR organizers. These risks are not only inherent to riders, but are also present for passengers, spectators and volunteers. I hereby assume all the risks of participating, viewing and/or volunteering in this event. 3. I acknowledge and agree that The DDR organizers and volunteers shall have no liability or responsibility with regard to anything in any way connected with the event. By registering for the DDR and pressing “SUBMIT”, I acknowledge that I have read, understand and agree with the above release form. Participating is free, however, we are suggesting a $30 donation per motorcycle to Lend A Hand Up. Proceeds from this ride will be donated to Lend A Hand Up and matched by the Dakota Medical Foundation. 100% of gifts to Lend A Hand Up are distributed to local families battling significant health issues. Press “SUBMIT” to register for the DDR. After hitting "SUBMIT" you will be taken directly to the DDR Lend A Hand Up donation page. Choose “DONATE” and continue. Thank you for your participation and support of Lend A Hand Up!